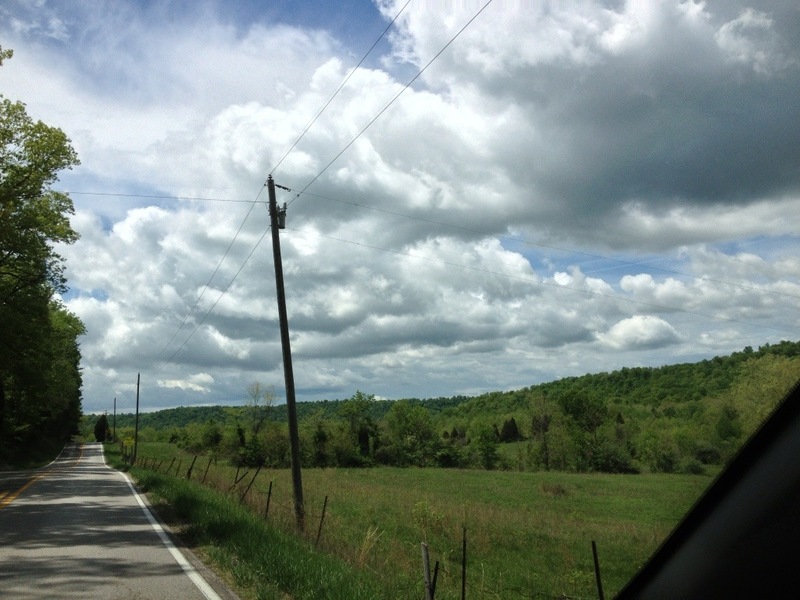 Today’s journey was filled with quiet back roads and spectacular sights. Just the way we like it! So, on to the spectacular portions of our day. After the pancake printer, we went to the Marengo Cave–a U.S. Historic Landmark. 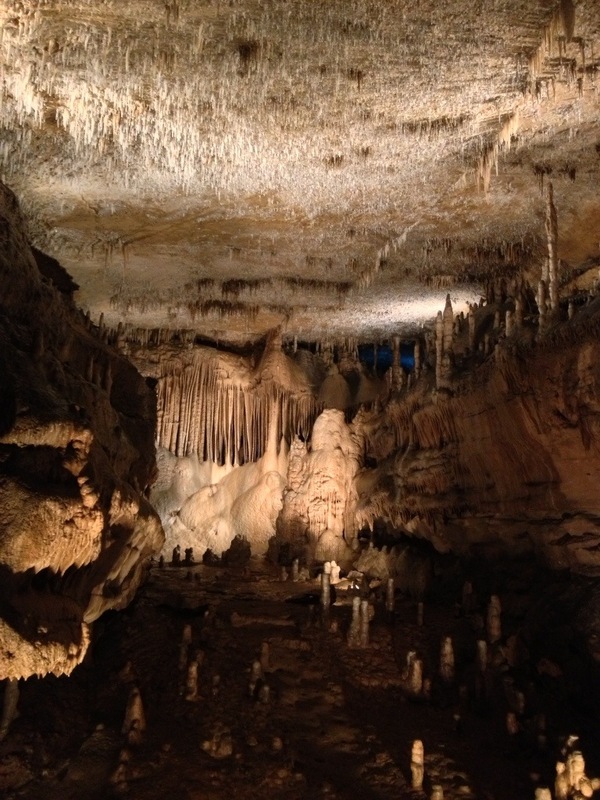 These limestone caves were discovered by a couple of kids in 1883 and were soon opened for tours. 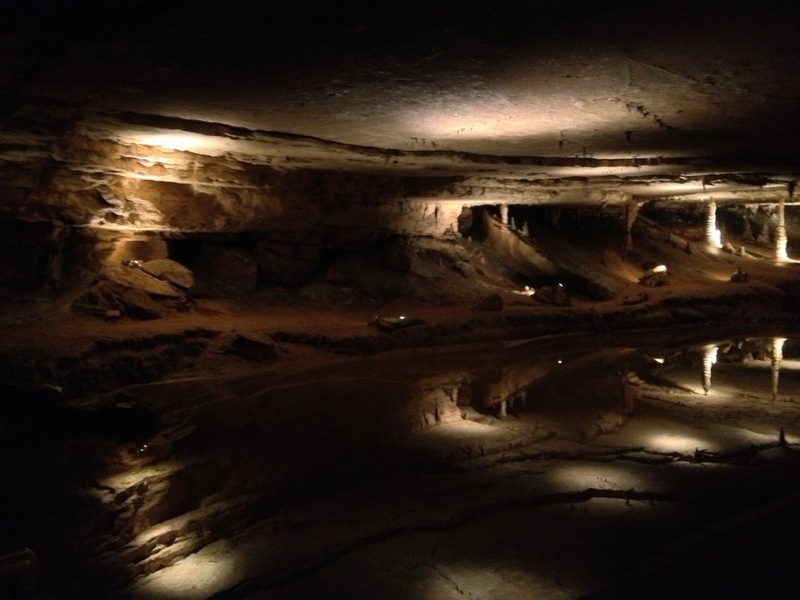 We went on a 40-minute guided tour of the “Crystal Palace” area of the cave. Since it was early and a Tuesday, we got a private tour. The pictures below don’t do the cave justice. Luckily, the bats had retreated to a lower level. 🙂 We were glad that we decided to visit the Cave…had I felt a bit better, we might have passed on the opportunity rather than stopping in Corydon. So, perhaps my cold had a purpose after all!! Marengo Cave Pipe Organ area. Weddings have been held here! We packed up and left the hotel after returning from the cave and headed out for the open road. 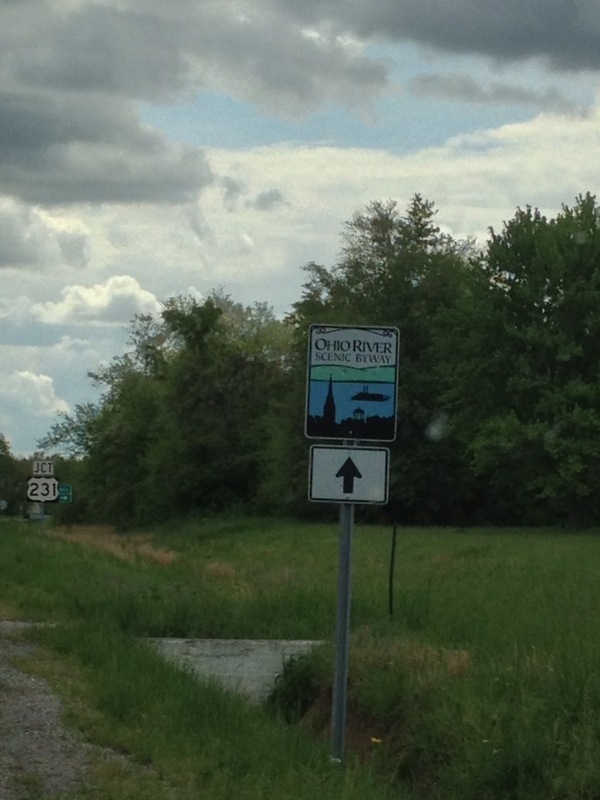 We decided to continue on the Ohio River Scenic Byway, which traversed Route 62 (the George Rogers Clark Trail) and Route 66 in Indiana. 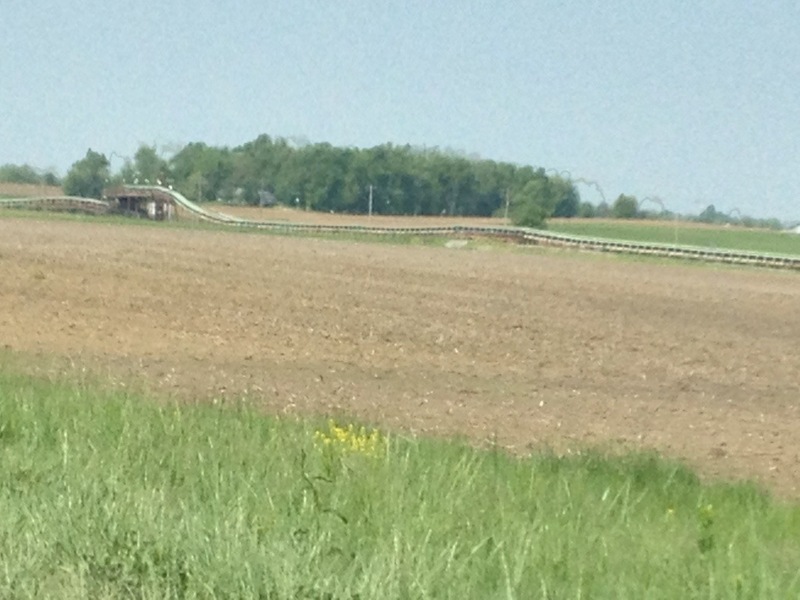 This route took us through the Southern half of the Hoosier National Forest. Rolling hills and a quiet, two-lane byway through this forest enabled us to take a leisurely and scenic tour of Indiana that I would never have imagined. 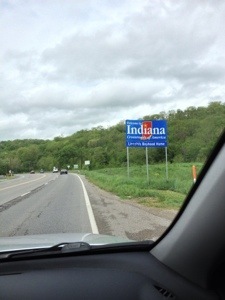 I only thought of Indiana as flat corn country; the drive through Hoosier National Forest showed me trees and meadows, hills and valleys that were a surprise and a delight. We seldom saw another car as we snaked through this lush, green terrain. It was a discovery drive at its best. This is the way we like to roll! 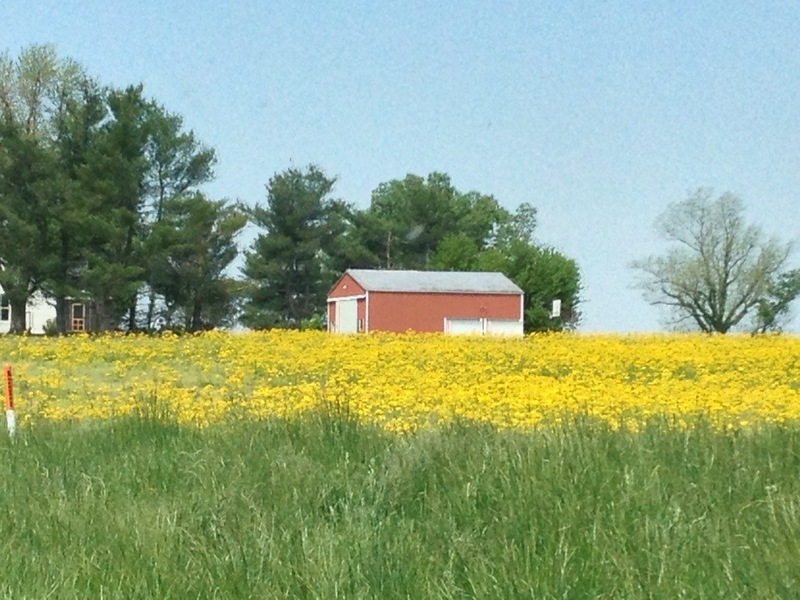 Along the way, we wound inland and back to the mighty Ohio, skimming by and driving through small towns and vacation spots, farmland and homesteads. 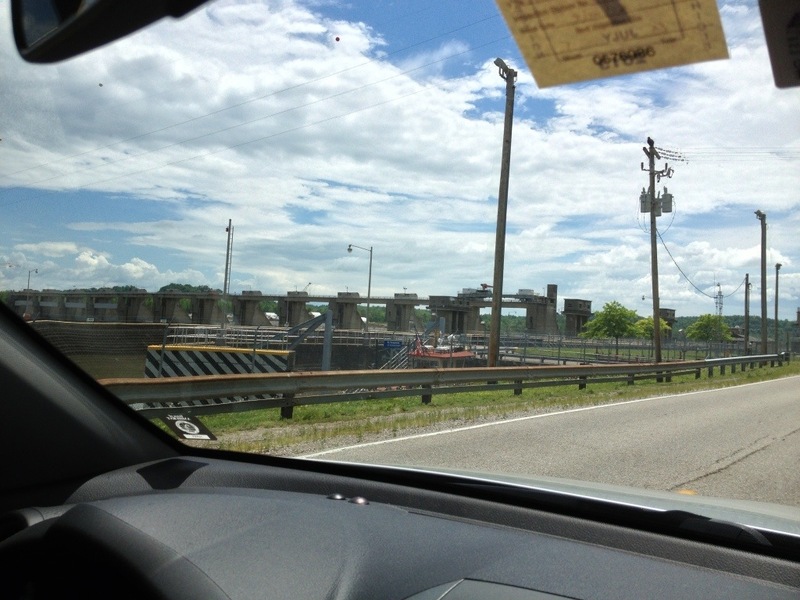 We also went by a very impressive structure–the Cannelton Lock and Dam–as well as a slightly disturbing (too many bad movies) nuclear power plant. Rockport Nuclear Power Plant: Am I glowing? 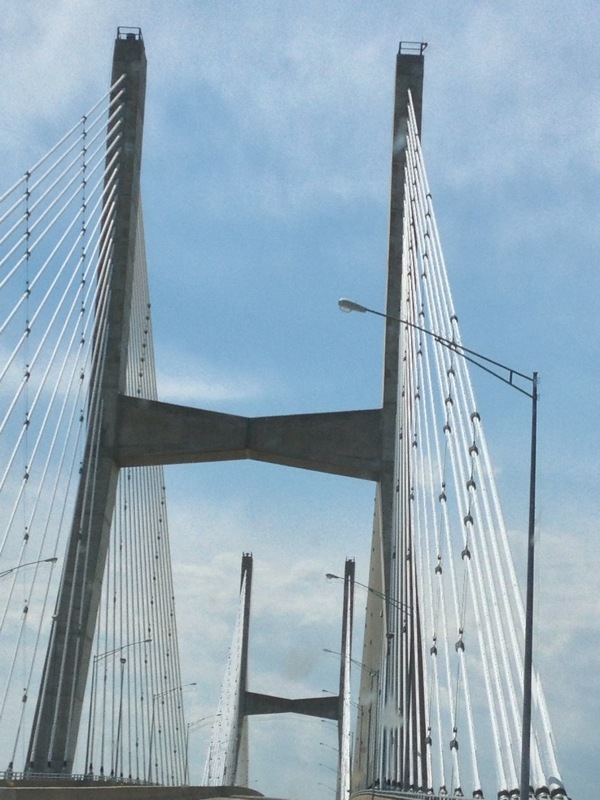 The Ohio River Scenic Byway ROCKS! 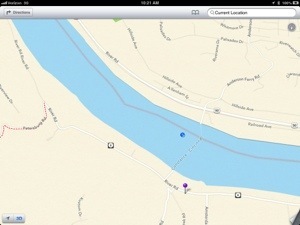 As the hour grew later, we decided to stop at the outskirts of Evansville, Indiana. We’re settled here for the night and will head through the Shawnee National Forest, and perhaps the Mark Twain National Forest, tomorrow. 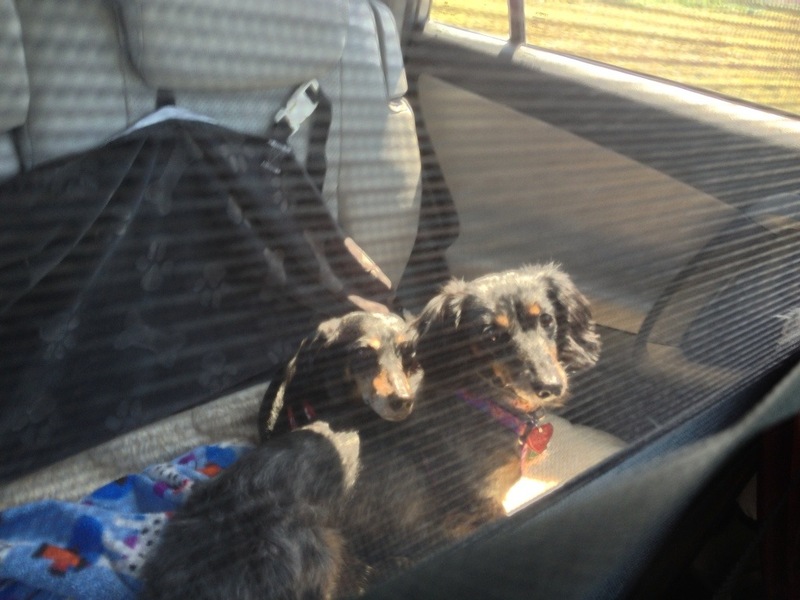 Today was a good travel day for the dogs as well. 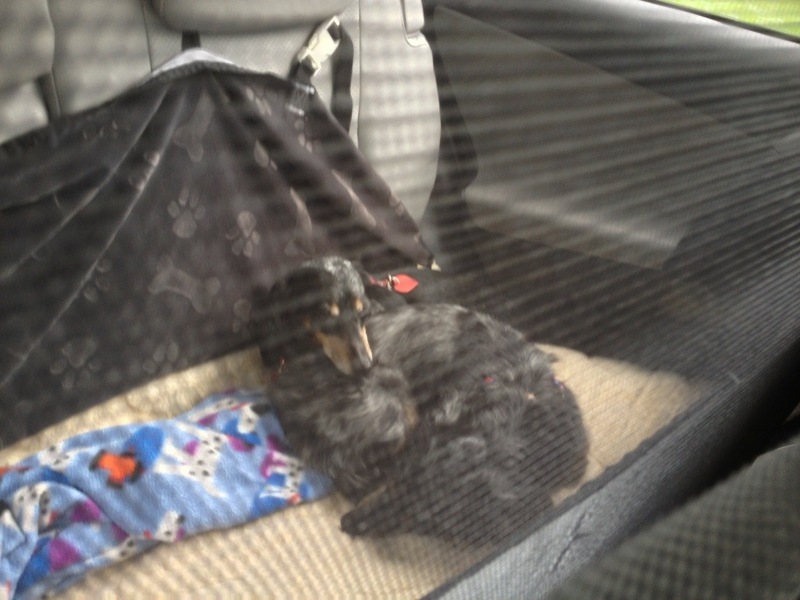 Jasmine’s tummy problems seem to be improving, and both dogs seem much more comfortable in the car. 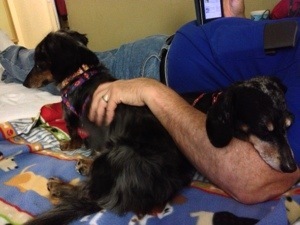 In fact, they seem to be more comfortable with each other as well. All this togetherness is good for them! Today was a light travel day. I woke up with a raging head cold. It’s not conducive to making decisions or navigating in uncharted territory. Regardless, we did have a lovely, scenic travel day. 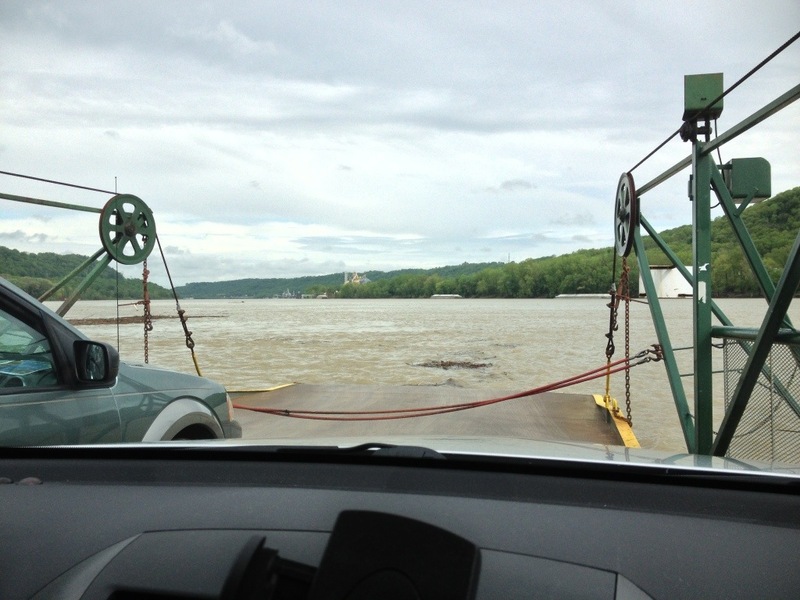 We started out taking the Anderson Ferry across the Ohio River. 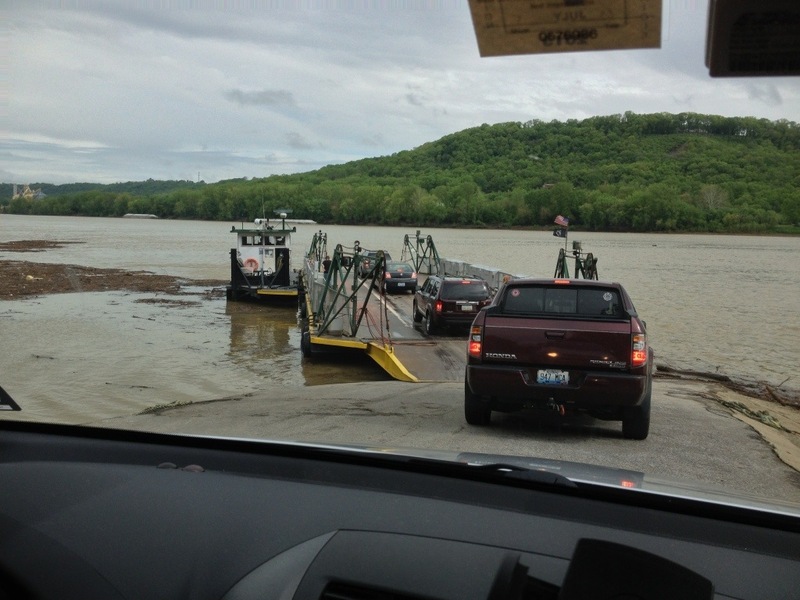 In operation since 1871, the Anderson Ferry operates 364 days a year, taking commuters across the river–and states–from Hebron, KY to Cincinnati, OH. I had never been across it, so we thought we’d give it a try. We drove down a windy junglescape of trees and foliage and arrived at a little landing where five cars were already waiting in line for the ferry. A few minutes later, we were on board and under way. Our fare was a whopping $5, and the ferryman noted our ‘killer’ animals on board. The water was murky, most likely due to the storms that had just passed the night before. 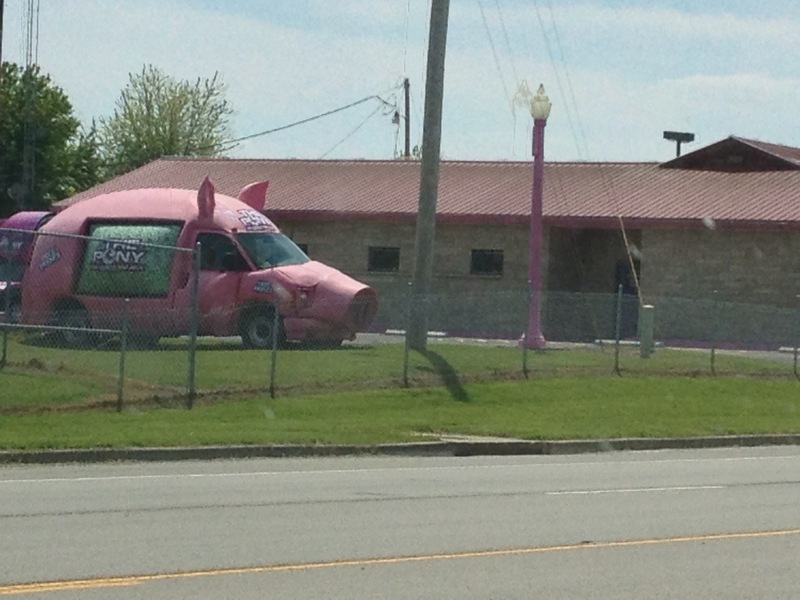 But the ride was surprisingly smooth. 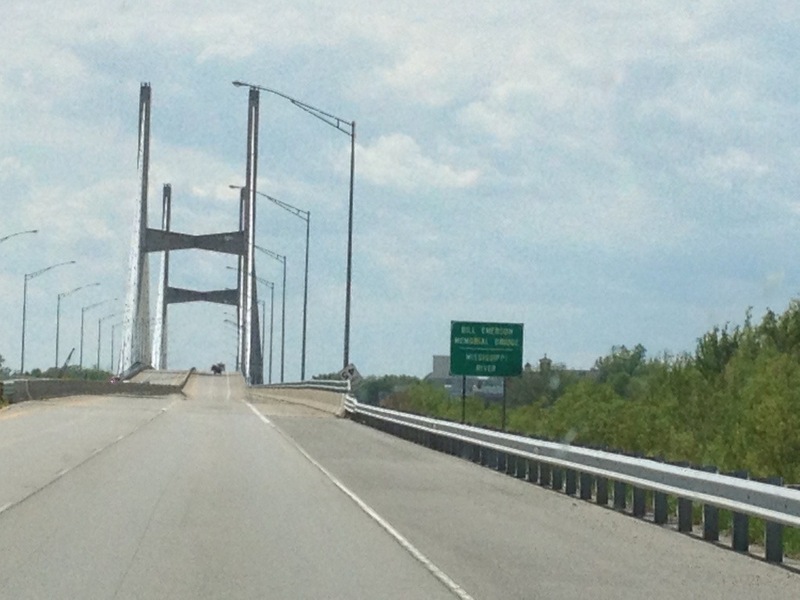 Once across, we immediately hit Route 50, the Ohio River Scenic Byway. 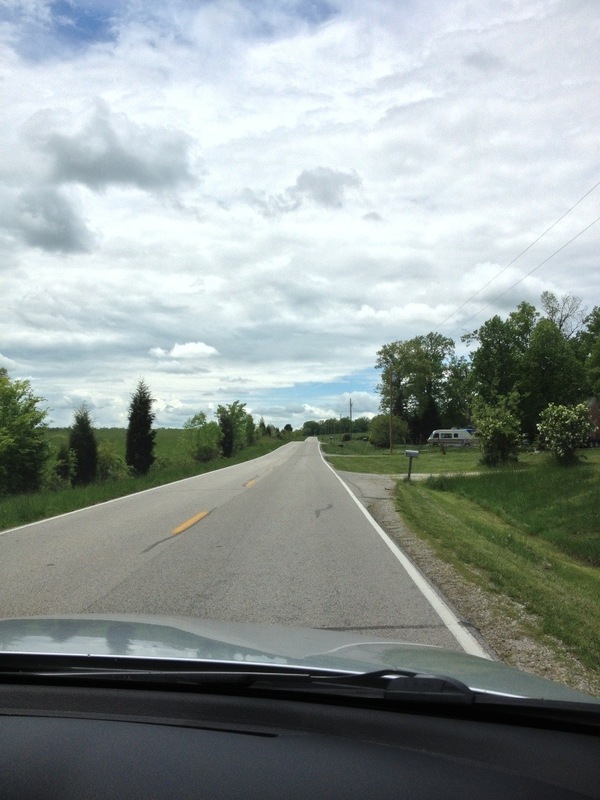 This drive goes across a number of routes–Route 50 in Ohio, Route 56, 156, and Route 62 in Indiana. 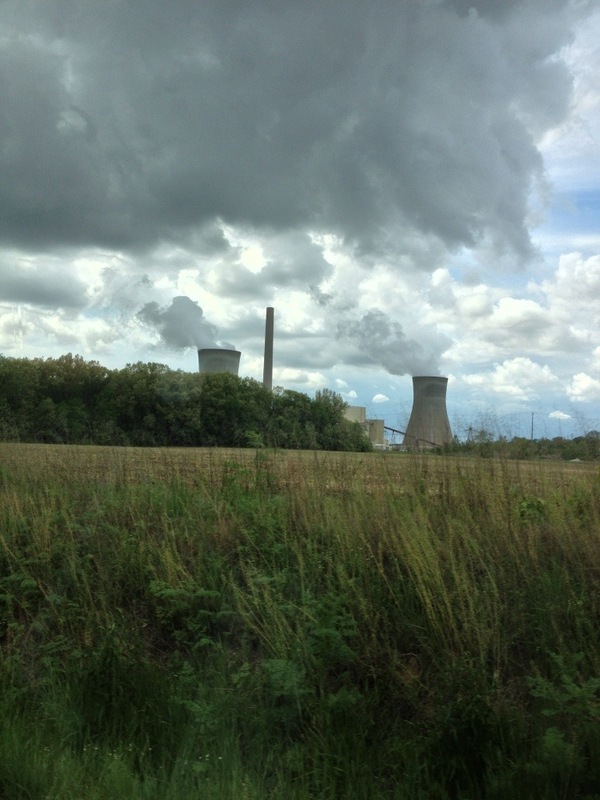 We drove through the Ohio and Indiana countryside, wheeling through small towns like Patriot and Florence and finally stopping in Corydon, Indiana. 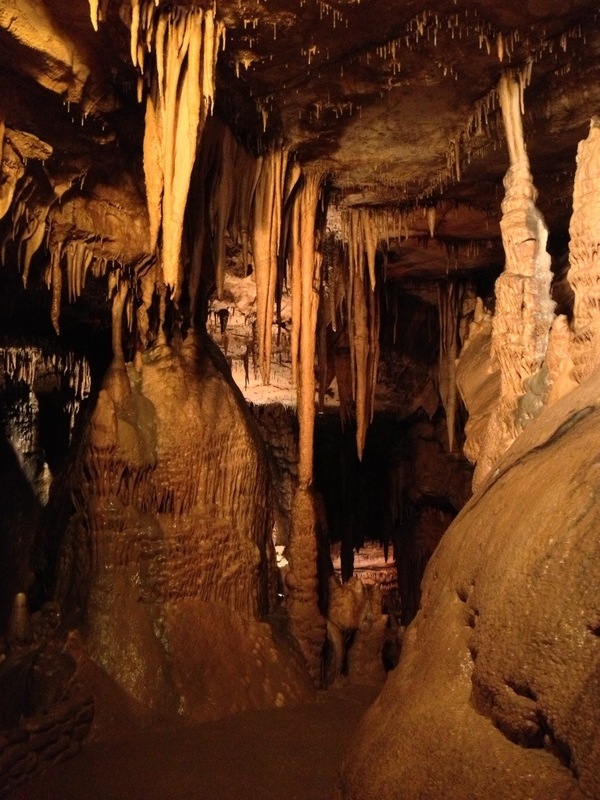 We chose Corydon due to its proximity to the Marengo Caves in Marengo, In. We’ll visit in the morning and then head over to the Hoosier National Forest. 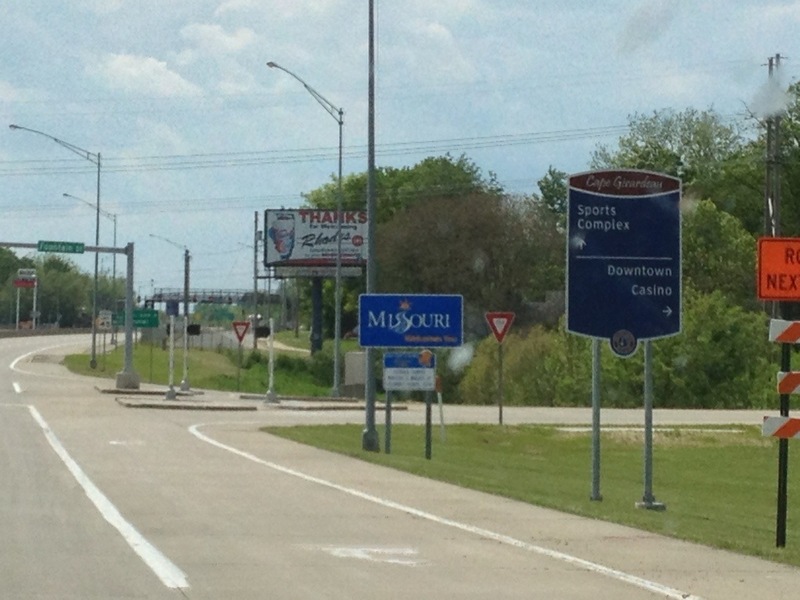 We might head over to French Lick, IN (home of Larry Bird)…but that’s a decision we’ll make tomorrow. That’s how we roll! 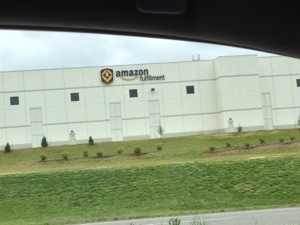 Tom suggested that I stop and say hello to the Amazon.com people, since I’m such a good customer!